1. Achieve a stable extrusion, extrusion products to improve the dimensional accuracy, reduce scrap rate. In the extrusion process, the uneven material feeding quantity, barrel and die temperature, screw speed fluctuation of the pulsation phenomenon is difficult to avoid. 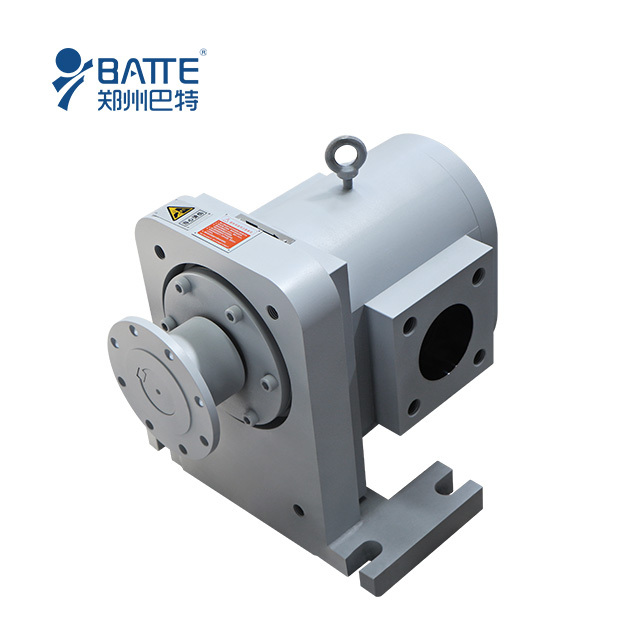 Feeding error can be eliminated using the melt gear pump feeding system, can greatly decrease the volatility of upstream technology transfer, quickly enter the stable working state, improve the extrusion product size accuracy, reduce scrap rate. 2, Increase production, reduce energy consumption, to achieve low temperature, prolong the service life of the machine. Due to the installation of the polymer melt pump extruder, vacuum extruder function to complete the transfer to the gear pump, extruder can work under low pressure and temperature, the leakage flow is greatly reduced, the yield increase. 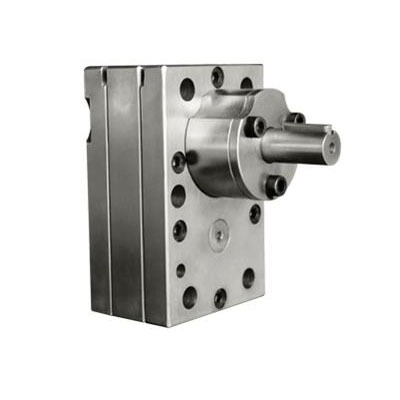 Gear pump is effective to establish more easily than the extruder die pressure, and can reduce the pressure drop of the extruder, the screw under axial force, extend the service life. 3 With linear extrusion characteristic, facilitate the coordination of work equipment, downstream. Because the gear pump leak less traffic, transport capacity and speed of the pump is basically a linear relationship, the gear pump speed changes, the flow can know exactly, as can be determined, the downstream equipment and gear pump synchronous speed, the entrance of the gear pump outlet pressure, acquisition, temperature and other information, to realize the whole the extrusion process of on-line monitoring and feedback control.